Taking into consideration all of your ideas, I have developed an action plan. 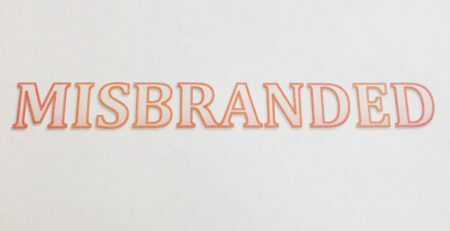 Before presenting my thoughts, it is probably useful to provide some background on what we typically do (or have done) when a product appears misbranded due to either ingredients or gluten content. First an email is sent or a phone call is made to the manufacturer and the test results/ingredient information is shared. 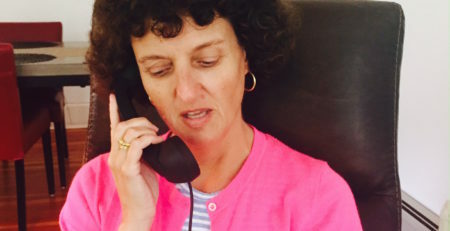 It often takes multiple phone calls and emails to get manufacturers to understand why a certain ingredient cannot be included in a food labeled gluten-free. On rare occasions they never understand. 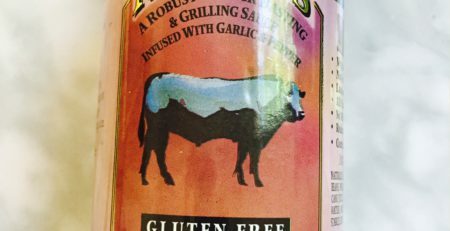 If the product tests at or above 20 ppm of gluten conversations with manufacturers often focus on testing and whether raw ingredients and final product are tested for gluten. We have only had a few instances when manufactures did not make changes to their suppliers and/or testing protocols. 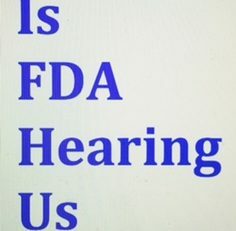 Second, a number of contacts at FDA are notified by email and sometimes via voice mail when a product appears to be misbranded due either to the ingredients or gluten content and the manufacturer appears unwilling to rectify the situation. Up until this year and the change in administration, these emails were generally acknowledged. However, it is unclear whether any action was taken by the agency (to find out a FOIA request must be filed). It is important to stress that many folks at FDA who are involved with labeling are hard-working people. 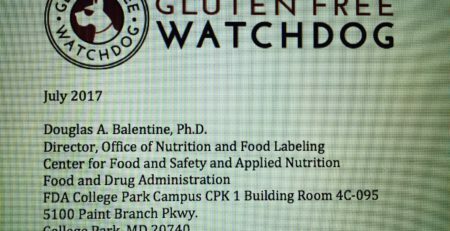 Rhonda Kane, who was very involved in writing the gluten-free labeling rule, is a perfect example. Prior to her retirement, she was the hardest working dietitian I knew. The gluten-free community was fortunate to have her in our corner. Unfortunately, from my perspective no one at the agency has stepped in to fill her shoes. 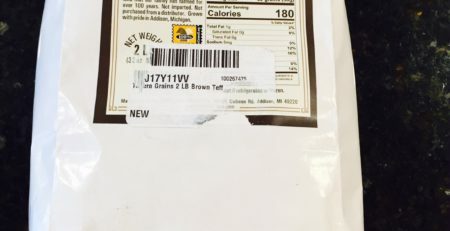 NOTE: Above social media steps will be taken only if a manufacturer refuses to change labeling (e.g., either removes the offending ingredient or the gluten-free labeling claim) or refuses to take immediate steps to decrease gluten content of the product AND does not take immediate steps to either remove the product from the marketplace or cover the gluten-free labeling claim. o If you work for a gluten-free magazine or support group, it would be great if you covered this story too. Please contact me!! I will be writing Op-Ed about this issue and submitting it to national newspapers one at a time until accepted (smile). Contacting Congress: There were a lot of comments both in favor and not in favor of taking this step. Some folks believe it simply is not the right time to reach out to Congress. Organizing marches at FDA field offices: I really like this idea but it will require a dedicated team of organizers. All of these actions will require a lot of work. It will truly take a gluten-free village to make any of them successful. Wow, Tricia. Thank you so much! Let us know our role as this develops. Will do, Helen! More information will post next week. 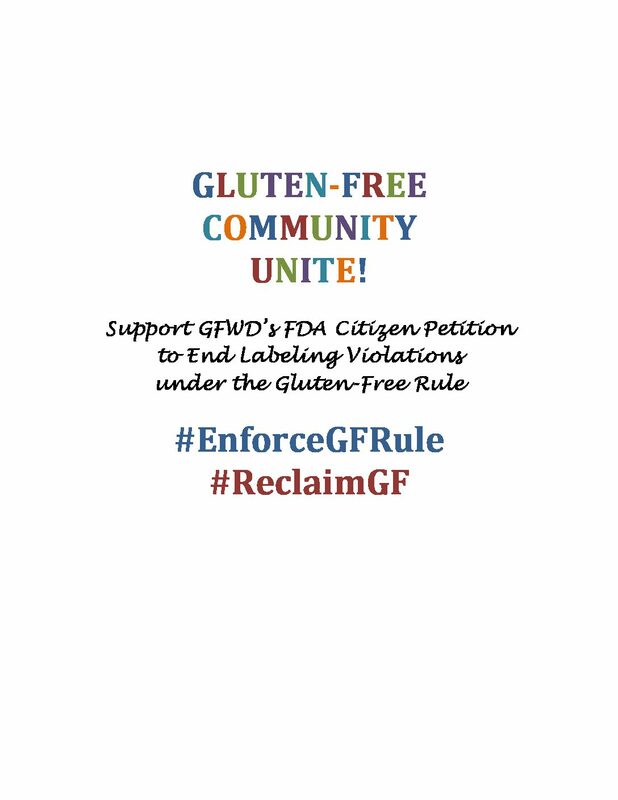 Wouldn’t it be great if the FDA required companies to label all products as “Not Gluten Free” until tested and established otherwise? I bet that there would suddenly be a lot more GF products on the market. This is a very creative thought, Lara! I like it! 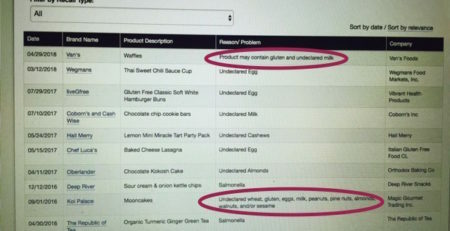 Tricia, my understanding is that hydrolyzed wheat protein IS gluten free as the manufacturing process removes all traces. In Europe legislation allows it to be considered GF. Up to us to decide whether we want to eat it or not (it is in my hair conditioner), but I think it sould be incorrect and misleading to complain to the FDA about it.